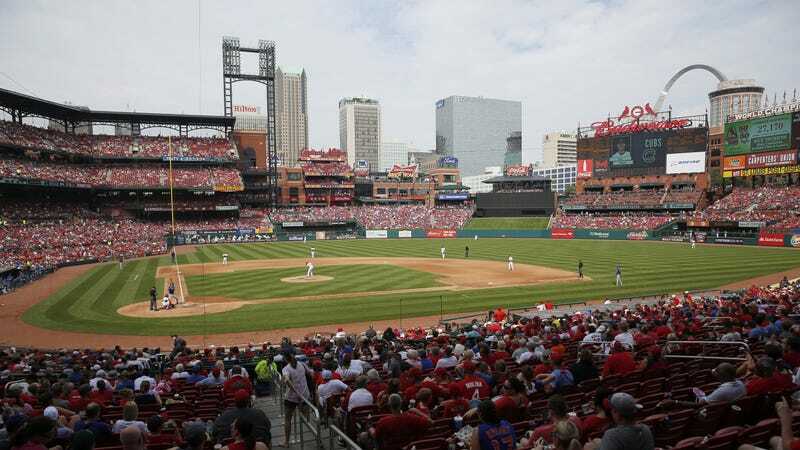 The St. Louis Cardinals will have to pay $2 million and send their top two draft picks in the 2017 draft to the Houston Astros as punishment for former Cardinals scouting director Chris Correa repeatedly logging into the Astros’ player information database. Correa was sentenced to 46 months in prison last July, and MLB has now issued a permanent ban against him. The picks the Cardinals will send to the Astros are their second-round pick (56th overall) and their competitive balance pick (75th overall). The Cardinals must pay the Astros $2 million within 30 days. It’s hard to put an exact dollar value on draft picks, but these two are somewhere in the eight figures. Correa did not cooperate with the MLB investigation. Earlier today, we reported that newly unsealed documents from the federal investigation into Correa’s crimes revealed that he had accessed the Astros’ system more than 50 times over a period of 16 months. He accessed their database during the 2013 draft, despite claiming that he was looking to see if the Astros had taken any proprietary information from the Cardinals. The feds suggested that it was Correa himself who leaked 10 months worth of Astros trade discussions to Deadspin, intimating that he was angry about the Astros getting a glowing Sports Illustrated cover story. Who Leaked The Astros&apos; Hacked Data, And Why?